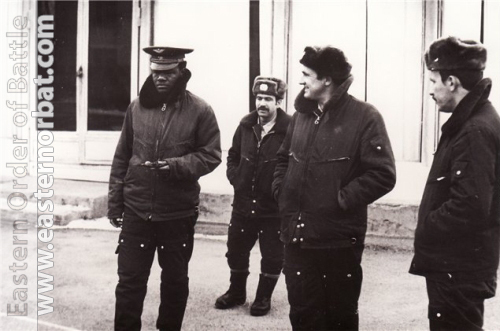 The main profile of the 5th Training Center at Frunze was the basic military pilot training. 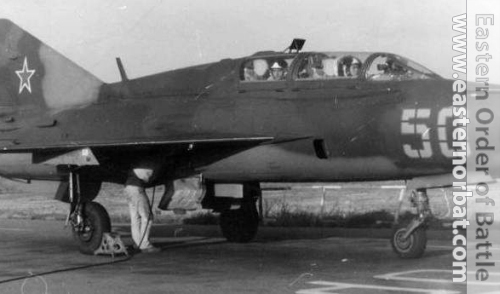 The students of the third and fourth grades flew with advanced fighter training aircraft at the 322nd Training Air Regiment. 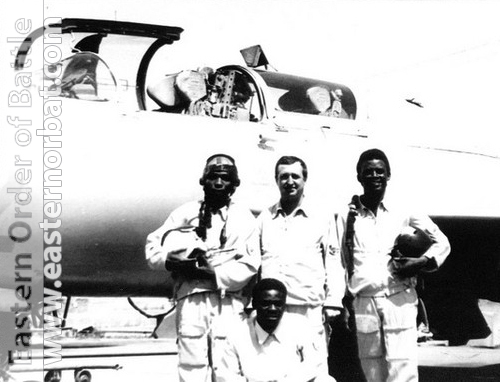 The old MiG-17 Fresco were used for a long time until the beginning of the eighties to train pilots from Africa. 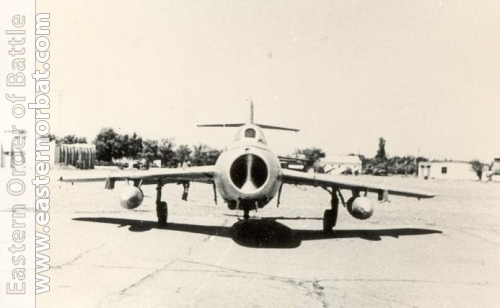 From the seventies, MiG-21 Fishbed advanced fighter training aircraft were used for training. 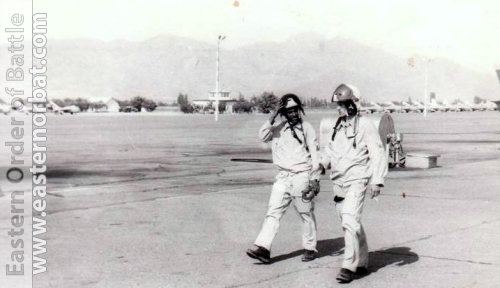 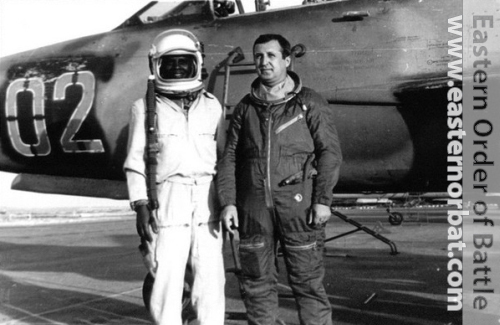 Foreign pilots did not receive combat training, but only basic training. 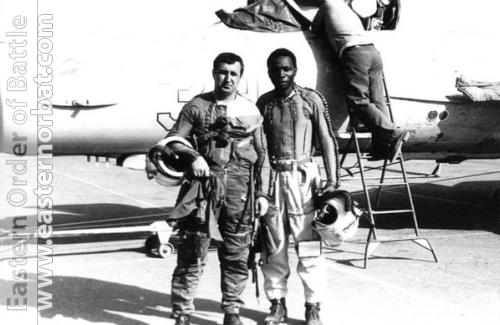 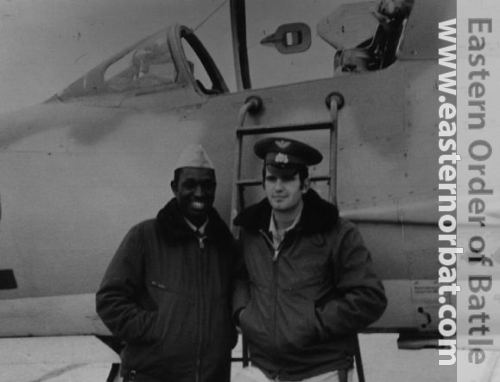 Guinea Bissau pilot and his soviet instructor in front of MiG-21MF Fishbed-J advanced fighter trainer. 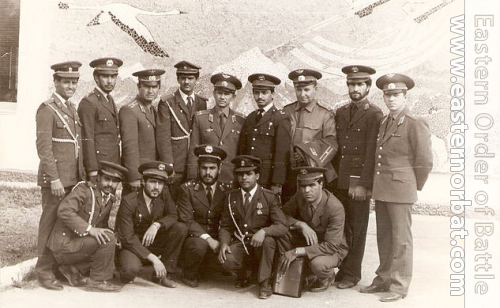 After 1992 the technique of the regiment and the airport became the property of Kyrgyzstan. 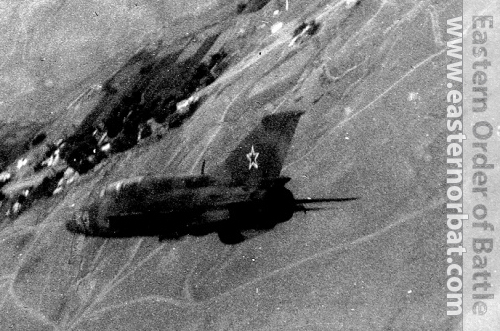 Nearly fifty MiG-21MF Fishbed-J, MiG-21bis Fishbed-L/N and MiG-21UM Mongol-B were stored here in the nineties. 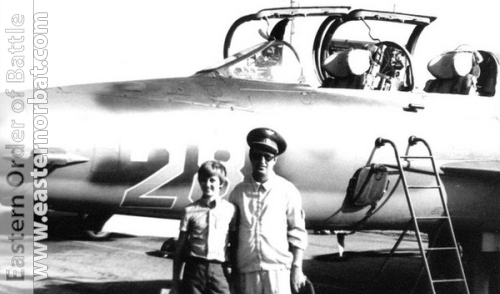 Eight MiG-21UM Mongol-B stored trainer aircraft were sold to India in 2003 through Ukraine. 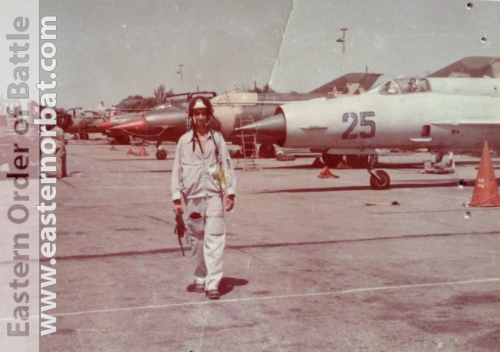 Foreign pilot in 322nd Training Air Regiment in Kant airbase in front of grey MiG-21bis, and other colorfull camouflage MiG-21s in the eighties. 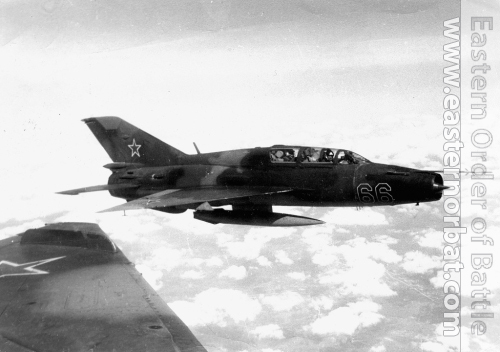 Soviet MiG-21UM Mongol-B training aircraft last fly in 1992.